← Blog Hop with Avery Elle – Seriously Awesome! Good Morning! I’m sharing a card on the A Jillian Vance Design blog today for Christmas in July. I know, we’re still about 5 1/2 months away, but some of us have to get started or we’ll never get done before the holidays! 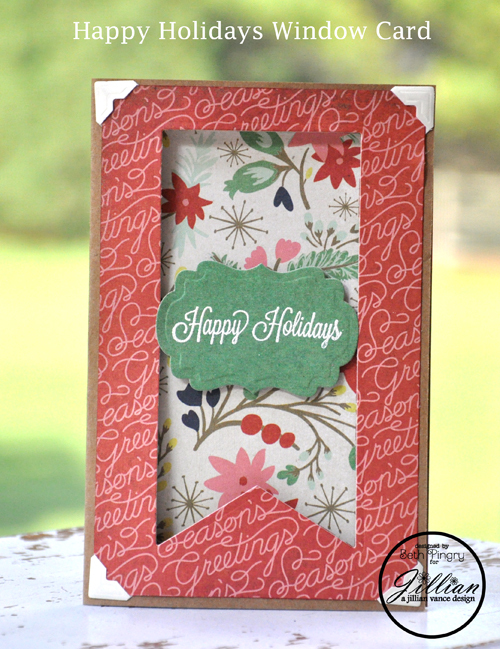 A Jillian Vance Design: The Holiday Zipper Stamp Set, Banner Die-tails, Die-namic Duo die sets. This entry was posted in A Jillian Vance Design, Card, SCRAPBOOK ADHESIVES BY 3L and tagged a jillian vance design, Basic Grey, Card, Christmas, Clearsnap, Holiday, Ranger Ink, SCRAPBOOK ADHESIVES BY 3L. Bookmark the permalink.